So, D got his palate expander off in May! It was a jubliant event. We celebrated by eating copious amounts of swedish fish. …ok, no we didn’t, and I’ll tell you why. The last step in this process is fitting the retainer for D’s mouth. After all the hard work of perfecting the palatal arch a retainer is needed until the palate fuses shut. In all, D had his expander on for 7 months. In April we went to the orthodontist for those gooey impressions once again for the retainer (which takes the place of the expander). For 10 minutes we were free of the “gear box” while he got the impressions. Freedom! …not. Alas, all good things come to an end. 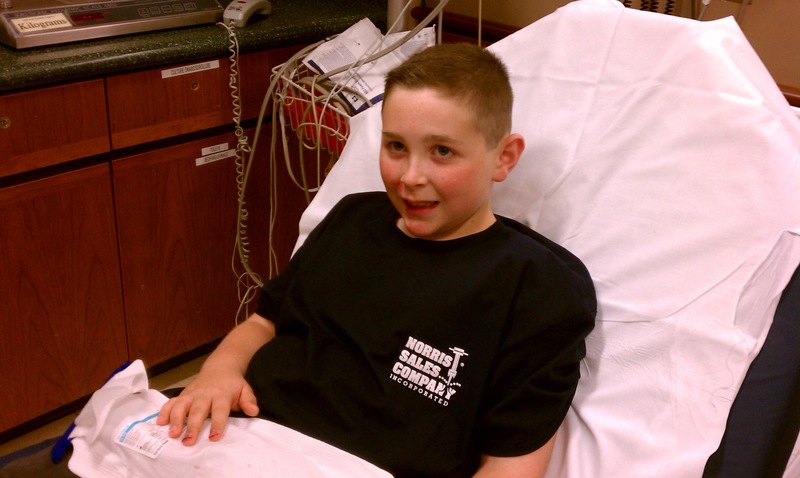 After suitable molds were made, D had his expander glued back on. Then we waited two weeks to finally get rid of it for good. D returned to Ortho in May for the new appliance (also known as a transpalatal arch- see picture) which is a simple wire with a small rigid part anchored to the same two molars the expander was connected to. D says it’s like having nothing in his mouth at all. Sadly, we still have to avoid the really sticky foods, BUT the benefits of keeping his now-perfect palate alignment will far outweigh the taste of swedish fish. Truth be told, he actually missed that darn thing once it was out (hard to believe, right?). It did take a few days to get used to the retainer and having less metal in his mouth. 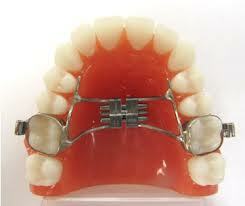 The great thing is practically nothing gets stuck in the retainer unlike the expander. He brushes his teeth as normal too. However, we did discover that popcorn is a No-Go (still). So the retainer stays in for the foreseeable future. If you remember from the last post, we have the added fun of watching and waiting on the two broken teeth from his bike accident last fall. We know D will need braces, but he still has a lot of baby teeth to lose. In fact, he’s lost four just in the last two months. Until D has a mouth of permanent teeth, and we can finally see the damage to his broken teeth, we are in a holding pattern. Now, for some of you, your doctor may suggest another route to braces. I have learned that there’s varied opinion on when braces are appropriate (some orthodontists split it up into a Phase 1 & 2 process). In fact, that’s an entirely different discussion. Always speak with your orthodontist to determine what is the correct path for your child after expansion. Thank you for your comments and e-mails. If you have any questions, comment below and I’ll do my best to answer them!